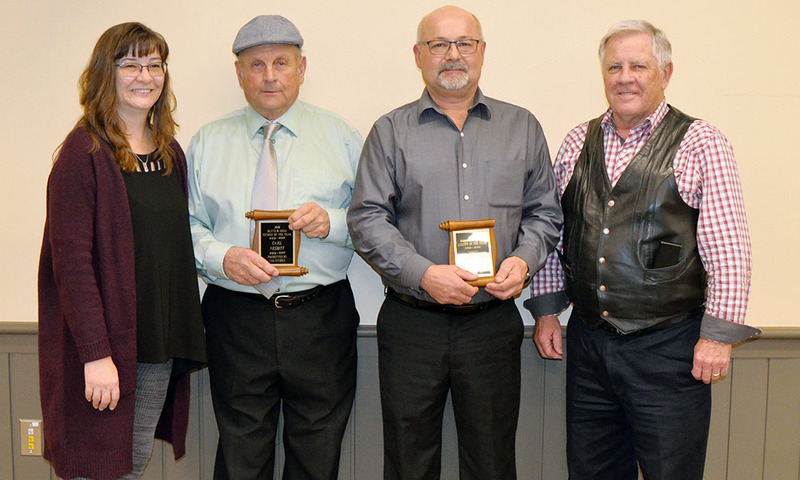 This year’s Citizen of the Year Award winners – Carl Nesbitt for Blyth and its surrounding communities and Doug Sholdice for Brussels and its surrounding communities – were celebrated last week at a special event held at Memorial Hall in Blyth. 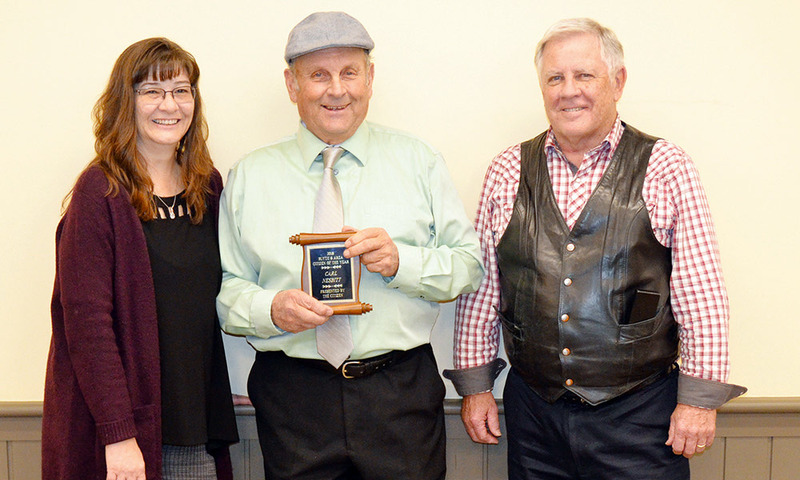 The Citizen hosted the event, which welcomed over 50 members of the public to Blyth on a snowy night on Nov. 15, to honour this year’s top volunteers and to celebrate the culture of volunteerism in Huron County. Deb Sholdice, publisher of The Citizen, The Rural Voice and Stops Along The Way, opened the event by speaking about the importance of volunteerism and how communities like Blyth and Brussels and beyond depend on their volunteers. 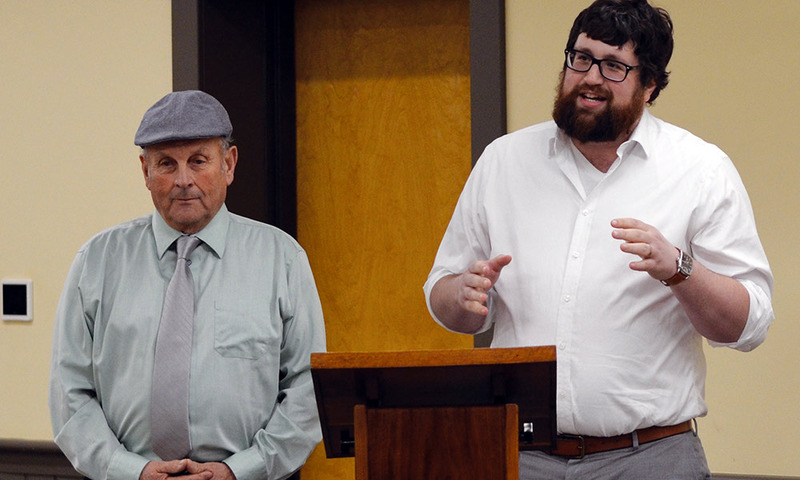 Citizen Editor Shawn Loughlin, who assists in the selection process alongside each community’s past five Citizen of the Year Award winners, then spoke about the history of the awards, which have been handed out since 1985, the first year The Citizen was published. 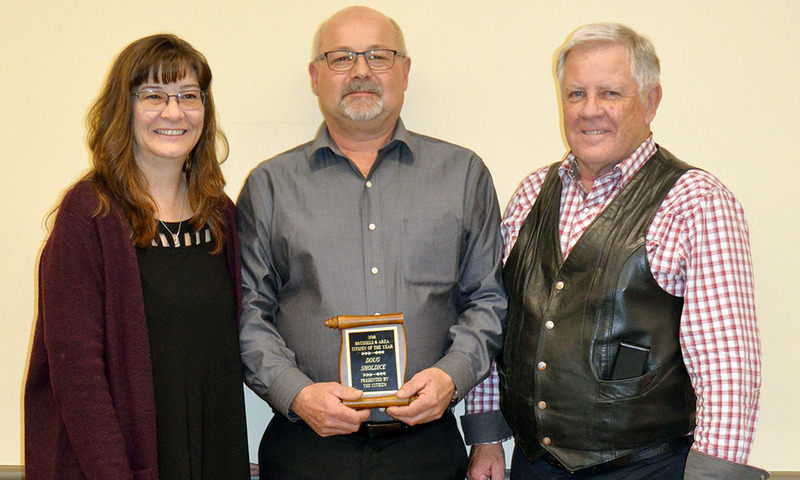 Carl Nesbitt, a charter member of the Londesborough and District Lions Club, was honoured for his extensive work around the Londesborough and Blyth communities, both public and private. Nesbitt said privately that he wanted to thank members of the community and those who nominated him for the prestigious award. Sholdice was honoured for his years as a volunteer on the Brussels Fire Department and with the Brussels Cemetery, the Brussels United Church and St. John Ambulance. He addressed those in attendance, thanking Orr Insurance, his employer, and members of the community and of his family. To be recognized in this way by his community, he said, was a true honour. The Citizen will now be hosting an annual event every fall to honour the year’s Citizen of the Year Award winners, inviting members of the public to take part and celebrate the volunteers who make their communities such special places to live. Next year, The Citizen will also be introducing a Junior Citizen of the Year Award. 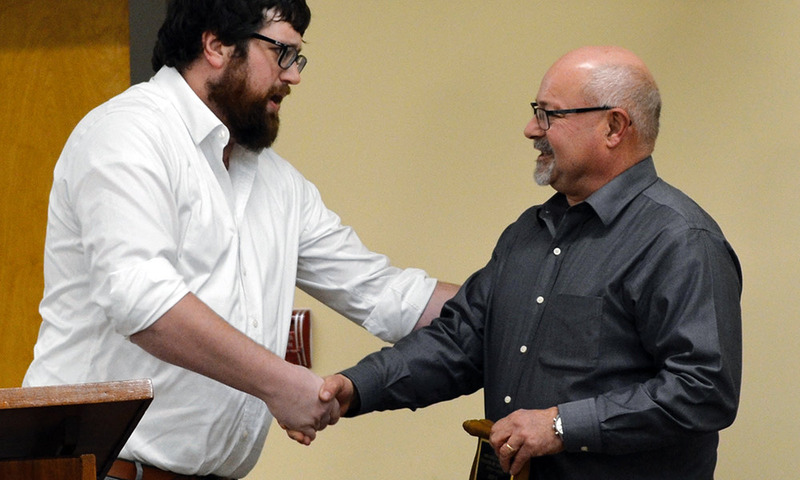 Nomination forms will be available in the weekly edition of The Citizen early next year, or nominations can be e-mailed to editor@northhuron.on.ca. Every year The Citizen is underwhelmed with the amount of nominations received. We encourage members of the public to be active in nominating those who make your community a better place and to honour those who go above and beyond the call of duty.